Sisley Killam is a Registered Holistic Nutritionist and Health & Wellness Blogger at The Pure Life. Besides creating plant-based recipes and content for her readers on the daily, Sisley has hosted many workshops, co-hosted retreats and runs her own online nutrition coaching business. 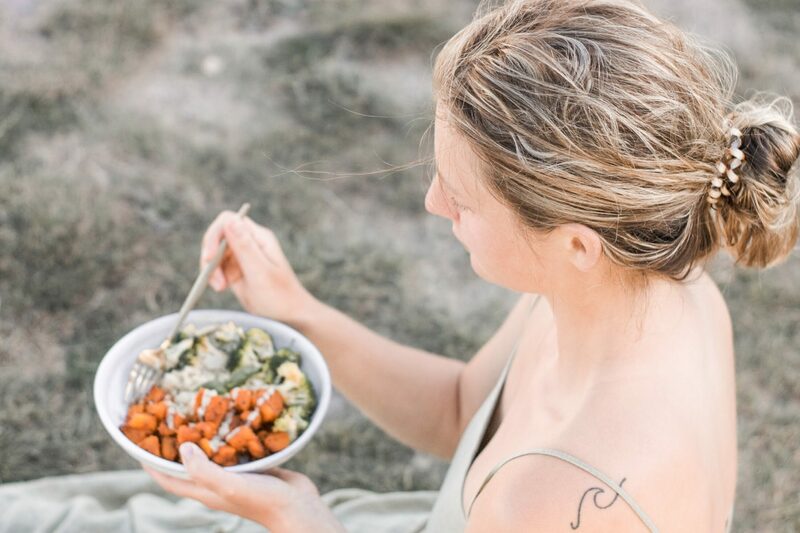 The Pure Program, her signature 6-week nutrition program, launched in 2018 and has been helping women from all around the world create a healthy relationship with food again. She studied holistic nutrition at the Canadian School of Natural Nutrition and graduated in September of 2016. The Pure Life was designed to help empower women through whole food eating and mindful living. To Sisley, living a “pure” life does not necessarily mean living 100% clean – because that takes a LOT of dedication! The Pure Life means living in a way that is best for YOU and your unique, beautiful body. For daily inspiration, head over to my Instagram page, where I post my meals and tips daily! Sisley offers personalized nutrition coaching. Read more here. We are your fellow local R.H.N community. I have a cold-pressed juice company, Nectar Juicery and I am looking for health ambassadors to do a juice cleanse in January and help educate people on the benefits of nutrition. We are 100% organic, a glass bottle and alchemized with ayurvedic principals. Most of our juices also have adaptogens in them. Please let me know if you would like to discuss opportunities. I’m from Costa Rica, could you please tell me, where can I find holistic nutrition recipes, or digital books? Incredible, nice recipe i will make one pair of this for the next dinners. About how long after you started your plant-based diet did you see positive changes to your facial skin? Thank you. I have chosen to switch to a plant-based diet, and will be taking it seriously for two months. I am at day 8. My skin is better, but I have been through ups and downs before. I look forward to seeing if the results stay positive over time. If so, cleaner eating will be a new lifestyle for me. Thanks for all the advice you have shared on this site.